The Visual Composer addons are very useful for those who use the WordPress platform and want to give their sites a powerful and distinctive look. Vera brings you the best quality Visual Composer addons available on the market now. The Visual Composer addon was created out of the need to offer to people who create their own sites on WordPress a useful tool that helps them customize their pages as they want every time. They can also extend the Visual Composer in order to add more power to it, and a means of doing this is by using Ultimate addon. It offers simple icons that can be integrated in a given page. Then, it can be used as one wishes. You can also use on yours site info boxes. They offer to the visitors of a site the most important information in contains. The Visual Composer addons really improves the way users use drag-and-drop plugins. 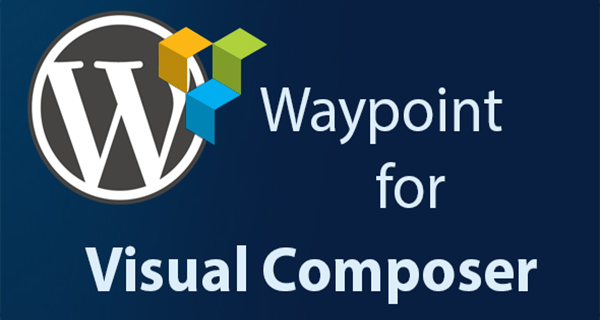 Visual Composer halps you manage a WordPress site and create an impressive layout very fast and without much effort. The Visual Composer addon is very appreciated especially by those who are not familarized with HTM or CSS but they want to customize the theme they choose for a WordPress page. There are many plugins of the drag-and-drop page builder type. Popular themes available in WorPress use many of these plugins. Many types of users (being they experienced or only beginners) can change the layour of a theme they choose. Moreover, they have the possibility to add icons, pricing tables and other elements to the general layout of a theme. The process is easy to complete by anyone. WP Bakery created this impressive Visual Composer addon. The layout of your WordPress page can be very complex if you use Visual Composer, and this will be done withour using the classical coding you are scared of. This plugin must be activated by those who choose to install it. After these first steps are completed, its features can be used in your advantage and the layout of your theme will correspond to what you wish. After you add a new page, you only have to hit the Backend Editor (a blue coloured button) option and you will be able to acces the builder. Any user can further add columns, rows, texts, photographs and buttons to the site only by using the options the Visual Composer has. Your page can be made of building blocks such as the Rows. You have to Add a Row first and after you complete this step you can create columns as a result of adding many rows. At the top of the left corner of the row you create there is a yellow paragraph tab which allows you to select a layout. It depends on the layout you choose because the rows will automatically break into columns as a result. You can add any element you want to your page, and a click on Add Element opens a pop-up menu you can use. Posted on September 9, 2015 by Christopher Cofer. This entry was posted in Blog, Blogging, Web design and tagged Backend Editor, CSS, customize, drag-and-drop page builder type, HTM, paragraph, plugins, Visual Composer addons, WordPress platform, WP Bakery. Bookmark the permalink.